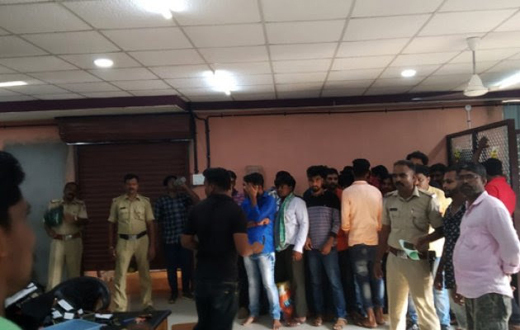 Mangaluru, Mar 18, 2019: Bantwal town police raided a recreational club at Melkar in Panemangalore and 70 persons including the club manager Sai Kiran (37) were arrested on charges of gambling on Saturday, March 16. At this poit the police seized Rs 72,000 in cash, mobile phones worth Rs 1 lakh and other materials used for gambling. Based on a credible tip off, the police team led by Bantwal ASP Saidul Adavath raided the recreational centre. Apparently the club was functioning illegally without a license. Bantwal police have registered a case in this connection.